A.B Edward Replaced 32 individual Homes (11 buildings total). 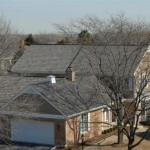 The Shires of Inverness is a 166 town home community located in Inverness, Illinois. Townhomes started being built in this community in 1985 and natural wood shake roofs were installed on all the homes at that time. 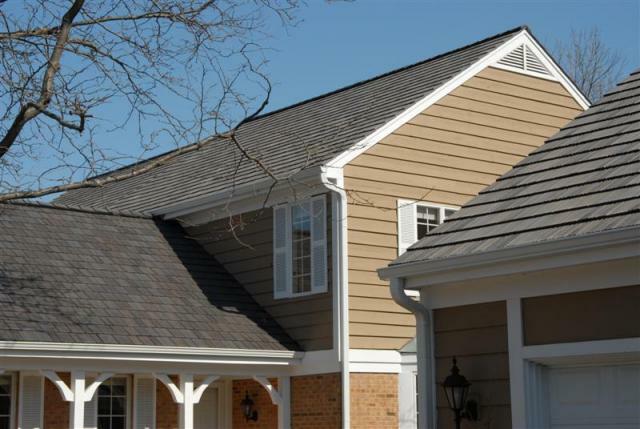 When it came time to replace the roofs in one of the sections of the community, the homeowners needed something more durable to the elements, however earthy and also matched the rest of the community which was pending replacement. The master homeowner’s association board received many bids, but DaVinci Roofscapes’ simulated shake roofing and DaVinci Masterpiece Contractor A.B. 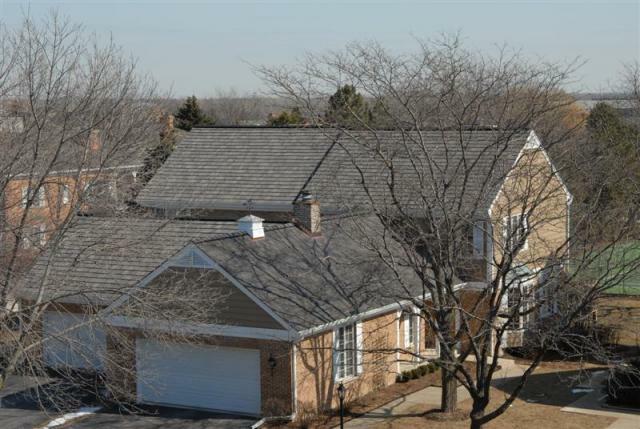 Edward (Glenview, IL) won the job to replace 32 individual homes (11 buildings total). 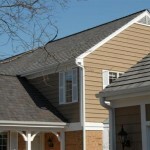 DaVinci Simulated Shake Roofing by A.B. Edward Enterprises, Inc. This entry was posted in DaVinci Roofscapes, Synthetic Slate and tagged DaVinci Roofscapes, Simulated Shake Roofing, Synthetic Roofing on August 22, 2013 by Tommy Seilheimer.